To me, there are some foods that are just as good served cold as they are served warm/hot. Spaghetti, pizza, steak and fried chicken all come to mind. 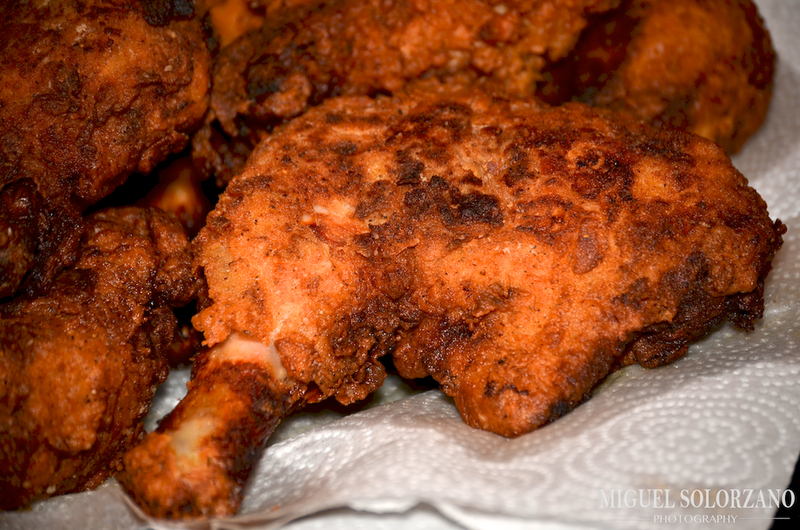 So I decided to try out a recipe for fried chicken, but to serve it cold — hence, Cold Fried Chicken. The prep work for serving it cold is obviously no different than serving it warm. However, once cooked, you must make sure the chicken cools to room temperature before refrigerating. This helps the batter keep its crunch and prevents sweating between the batter and chicken meat. Rinse the chicken pieces and dry with a paper towel. In a large bowl, combine buttermilk, water, honey and roasted garlic. Then soak the chicken pieces in the buttermilk mixture for at least 2 hours and up to 24 hours. On a large platter, place flour and mix in spices. Mix well so the spices are nicely incorporated into the flour. Taste flour and adjust seasoning as you see fit. Roll the marinated chicken pieces in the flour mixture until well coated. Dip chicken back in buttermilk mixture and coat in flour again. Heat 1 inch of peanut oil in large skillet or Dutch oven to 375F. While oil is heating, leave chicken sitting in flour mixture. Fried Chicken is popular with my taste buds. Working in batches of 3 or 4 pieces, add chicken to oil skin side down. Fry for 5 minutes then turn to other side and fry for an additional 5 minutes. Continue to turn and fry 5 minutes per side for a total of 20 minutes (two 5-minute periods per side) until golden-brown. Use a meat thermometer to ensure chicken is cooked to an internal temperature of 165F. Remove the chicken from the skillet and place on a paper towel-lined plate to drain. Repeat frying process with remaining pieces. Once all chicken is cooked, let cool to room temperature before refrigerating. Refrigerate for several hours before serving cold. This is some damn good fried chicken that keeps its crisp whether it’s hot or cold. It’s perfect for a summer picnic. This is one of those dishes that’s actually better on the second day once it’s sat in the refrigerator for a while. 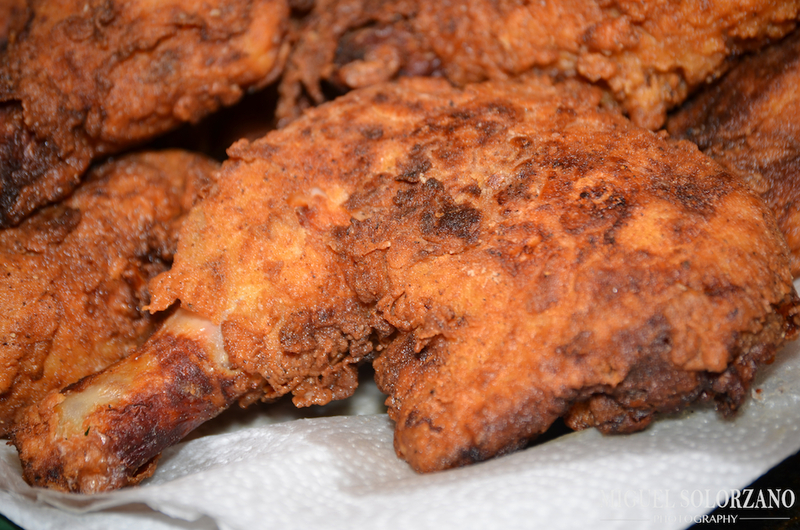 After trying this Cold Fried Chicken, you may not want to go back to eating it hot. I totally agree that some foods are just as good, if not better, cold. I’d add curries to your list too. Thanks. I agree 100% on curry. Fried chicken, hot or cole equals YummY. Thank you Po’ Boy Livin Rich. Good to have you back.